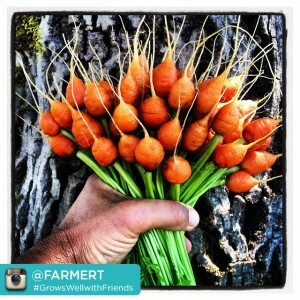 Meet our new Culinary Gardener, Tucker Taylor. We’re so excited to have Tucker here at K-J, rejuvenating the winery’s sensory and culinary gardens at our Kendall-Jackson Wine Estate & Gardens in Santa Rosa, California. Tucker’s vision builds on the winery’s commitment to sustainability as well as the garden’s foundation with an emphasis on increased productivity and plant diversity. A priority is soil building through the use of organic compost, crop rotation and cover crops to ensure healthier soils and promote biodiversity. Additionally, Tucker will narrow plant beds and introduce an intensive hand-tilling program to help yield superior quality produce while growing quantities. A new hoop house in the garden will introduce year-round, fresh produce using a passive heating system which will increase productivity. You will love what Tucker has in mind for the Gardens at the K-J Wine Estate. His new design will invite you to spend more time in the garden, wander the improved walking paths and enjoy the peacefulness with taller perennial borders and water features. He’s even designing a central space for true garden-to-table dining experiences. The majority of changes at the K-J Wine Estate & Gardens will be in place by Saturday, September 28th in time to celebrate the 17th Annual Kendall-Jackson Tomato Festival, a day of outstanding food, wine and entertainment. 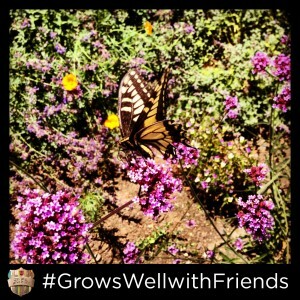 Follow #GrowsWellwithFriends on Twitter & Instagram for tweets about what’s happening in the Gardens, Tucker’s photos and more. Ask us questions along the way! We’d love to answer them.